These project ideas / topics depend majorly on hardware components for their operation. In some cases, software is used for programming certain integrated circuit components otherwise pure hardware components such as digital and analog discrete or monolithic integrated circuits are used. Control the turn on and off of lights in a room based on the number of people in the room. This project keeps count of people entering and leaving a room to determine when to turn on or off the room light; hence saving power. The project uses an infra red beam interruption system to track the movement of people in and out of the room. An LCD displays the number of people in the room as well as other information. 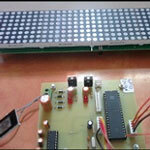 A LED matrix message display board that can be programmed from anywhere at anytime through SMS. Simply compose the message on any phone and send to a designated phone number and watch your message displayed immediately on the LEDs. 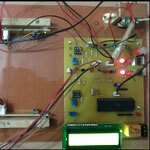 The project makes use of a GSM module and a microcontroller as well as LEDs and other components. Microcontroller code is written in assembly for fast performance and high optimization. This project aims to achieve the purpose of efficient energy usage by providing an effective method of fan speed control as a function of instantaneous ambient temperature. 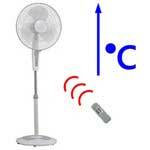 Infra red remote control allows for manual override of the control fan speed. Users can use to remote to select any fan speed they desire. 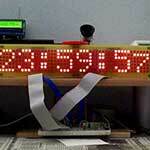 A digital clock that uses a LED dot matrix display to show the current time and temperature in a captivating way. Users can set time using push buttons. An inbuilt battery ensures that even when power goes off, time is still maintained. 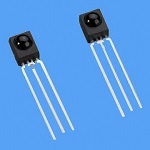 Ambient temperature is displayed on the LED matrix in centigrade or Fahrenheit. 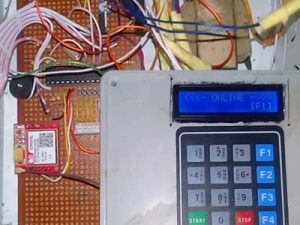 Control any electrical home or office appliance remotely using this project. The project supports switching ON and OFF of up to eight appliances. This project shows the use of infra red LED and a receiver module for wireless communication. 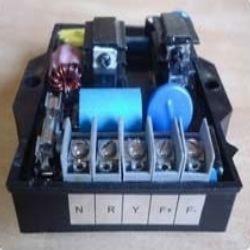 A microcontroller is used to establish the right drive signals and communication protocols. 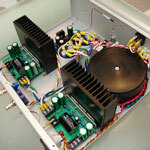 An analog system for high power and low noise/distortion audio amplification. An in built equalizer in the pre-amplifier section allows for accurate control of power in key frequencies of the audio frequency spectrum; producing sound output based on the listener’s preference. Precise control of AC motor speed is demonstrated in this project through the use of a triac, zero-crossing detector and microcontroller. Motor speed is monitored using hall effect sensors and maintained using a feedback system. Motor status is displyed on an LCD module. 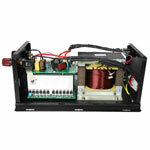 A power inverter capable of producing pure sine electrical power for powering any kind of load. The project demonstrates the use of digital synthesis for signal generation and pulse width modulation for digital to analog conversion. An intercom is used to communicate between two people using the mains power line as a medium. 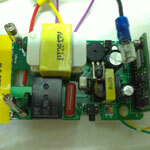 This project demonstrates the use of power lines for communications and filtering techniques used to suppress 50Hz / 60Hz mains frequency and harmonics for a clear audio transmission.